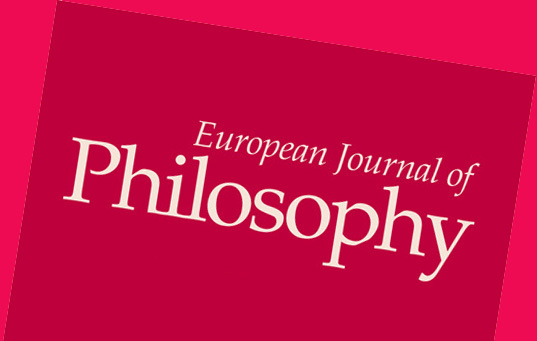 On the occasion of the 25th anniversary of the European Journal of Philosophy (EJP), editor Joseph K. Schear (Oxford) reflects on the journal’s history and announces some changes to it. The great majority of our authors consistently come from the United Kingdom and the United States. Though the study of German philosophy and its history has a strong presence in the journal, fewer than 10% of our authors per year, and indeed fewer than 10% of those who submit, originate from Germany. Likewise for France. The numbers are even smaller for Italy, Spain, and the rest of Europe, much less South America and East Asia, where there are strong and growing centres of interest in European philosophy. Some of the reasons for this are of course beyond our control. For example, the monograph, not the essay, is crucial for academic promotion in a number of these locales; what’s more, the anonymous peer‐review journal is not a staple of academic culture or indeed prestige across all of Europe. Even so, it is clear that we need to do better to make EJP a more attractive destination for philosophers living and working beyond the English‐speaking world. We need to do more than simply remind possible contributors that, though papers are published in English, submissions are also welcome in French, German, Italian, and Spanish. He announces that the editorial board has been “refreshed” to to achieve greater philosophical and geographical diversity; that the journal will regularly publish articles on “the current social and political situation in Europe” and “the European project”; that the journal will publish at least one piece of “philosophical art criticism” per year responding to recent or current exhibitions in European museums; and that the journal is starting an annual essay competition for early career philosophers.